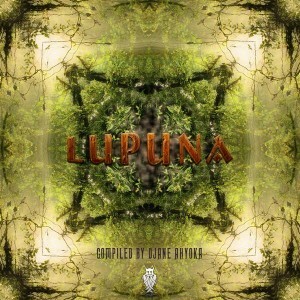 Melting Runes Records proudly presents their new compilation, Lupuna, featuring music carefully selected by the French Djane, Ahyoka. Inspired by the legend of Lupuna, you will discover a deep, twisted, and conscious world with 10 mind-blowing tracks from some of the world’s leading psygressive artists. Their music whispers dark secrets which will startle you, causing you to wonder who we are, and widen your circle of compassion to embrace all living souls. The legend says that the tree possesses a spirit known as a guardian of the rainforest. It will not tolerate one’s insolence towards the jungle’s sacred ground. It has the power to curse anyone showing impudence. Our deepest roots remain in nature where we are all linked with the rest of creation. A big thank you to all of these amazing artists who have donated their music to this compilation! We hope that you will enjoy each one of their story as much as we do. Mastered by Anti-Logic Studio, Berlin, with artwork by Pandora. MP3 Download | FLAC Download | WAV Download · Download count: 14,084. This album is brilliant! It combines rich and intricate forest qualities into a dark atmosphere I could only label as “Lupuna”. To me, this is what forest is. The album explores various dark and light aspects, adding beautiful melody and euphoric tones throughout the progressions of each track. I have’t been pushed by a album to write a review in a very long time. This is inspiring, thank you. I’ll put together my words shortly! Hey!! Where ya been?? It’s been a while. Missed your reviews here, and over at Psynews. This album is deep and chunky, with all the funky twists expected from a Zenonesque release. Great work!! Awesome Album! Extremely organic. Poisoned Roots is my favorite. Great album, really fresh sounds and yes organic. Love the Illume track especially.